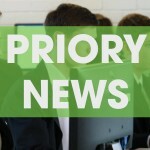 Priory Integrated College | Priory Celebrates Another Year of Outstanding A Level Success! Priory Celebrates Another Year of Outstanding A Level Success! 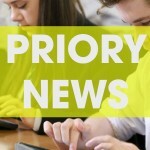 16 Aug Priory Celebrates Another Year of Outstanding A Level Success! Sixth Form students at Priory Integrated College in Holywood were celebrating their success on Thursday when they received their A level results. There were success stories in a whole range of subject areas including Applied Science, Business, ICT, Health and Social Care, Public Services and Sports Studies. Delighted students celebrated with their teachers, parents and carers, and many are now making plans to begin university courses in September. Amongst them are Rhys Ditty who begins his Bachelor of Education degree in Early Childhood Studies at Stranmillis University College, Belfast in September, Rachel Hutcheson who is going to York St John University to study for a Bachelor of Science degree in Occupational Therapy, Desire Bamisile who is going to Loughborough University to study Accounting and Financial Management, Matthew Gough who is going to Sterling University to study Computer Science, Daniel Mourao who is going to Jordanstown to study Law & Criminology and Scott Lilburn who will be studying Business Management at Edgehill University, Liverpool. Kane Tracy is heading off to Lincoln University to study International Relations and Politics, while Dale McMillan begins his studies in Adult Nursing at Glasgow Caledonian University. 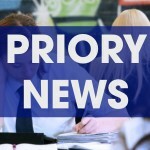 Anyone interested in applying for a place in Sixth Form at Priory should visit the college on Thursday 23rd August with evidence of the GCSE results. The Admissions Team will be happy to meet with you and discuss the options available.